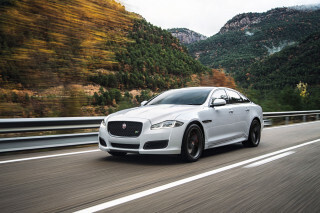 There’s certainly no shortage of high-end prestige-marque sedans available today. 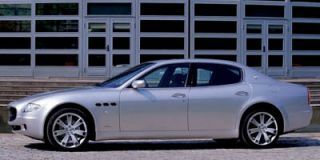 Maserati and even Volkswagen are now offering high-end ultra-luxury sedans, and a fresh new line of models are available from the likes of Bentley, Rolls, and DaimlerChrysler’s own Maybach in the upper, most exclusive range. 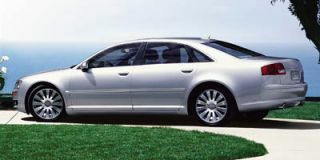 But for several decades now, the S-Class has been the car to aspire to, a symbol that you’ve arrived, and also a very safe, secure, and comfortable big sedan. Factor in the pop-culture-icon success of high-luxury SUVs like the Cadillac Escalade, and it’s obvious that especially in the U.S. the landscape of the high-end luxury market has changed a bit in the past few years. But while the current (eighth-generation) S-Class has been wildly successful for a car in its price class — with about a half a million sold worldwide and enviable owner loyalty to boot — Mercedes-Benz and the S-Class have seen some quality issues in recent years, shown in its low scores in J.D. Power’s Initial Quality Study and Vehicle Dependability Study. 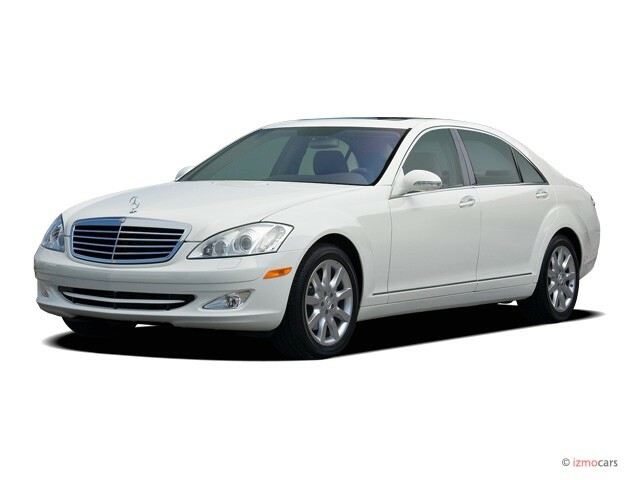 Furthermore, there’s a justifiable feel that S-Class owners, while wanting the best luxury sedan available, also value their time and fuss-free features are a priority. It’s fair to say that many of these buyers aren’t nearly as wowed by gadgets as the younger crowd, while anything that makes drivers’ lives a little easier has an intrinsic value. German engineers have found a reputation, deserved or not, of putting high-tech features — sometimes prematurely — into their cars “just because they can,” but the new S-Class shows so positively to be the product of some very smart, no-nonsense decision-making, where product planners really took a look at what drivers will use and value. The styling, to say the least, is controversial on the outside. It has various styling cues borrowed from the Maybach — which, plenty have opined, cheapens it for both cars. At the same time it brings a new wrap-around, double-decked treatment in back that’s almost a straight-on grab from the BMW 7-Series, combined with wheel wells flared so prominently that the Ford Focus comes to mind. Still, it’s very recognizably a Mercedes from all angles. In its long-wheelbase ( U.S. market) form especially, the S-Class is a big car, and it’s now grown in all major dimensions. It’s nearly two inches longer, and the wheelbase has been stretched by about three inches; it’s also about a half-inch wider and an inch higher than the outgoing car. The changes are even more significant, or shall we say more welcome, inside the S-Class, where the design is a great leap ahead from outgoing S-Class. Most of the matte black plastic surfaces are gone, replaced with shinier surfaces that look nicer than the coated plastic shiny bits now found on everything up and down the automotive food chain, and wood veneers that look ever-more like what they are. There’s more of a living room feel to the interior, and the cabin has an open, airy feel rather than having an emphasis on a tight cockpit feel, due in part to the broad, horizontal theme to the dash area, and also aided by the absence of a conventional console shifter — it’s been relocated to the right side of the steering column. It’s not a big surprise that furniture designers had been brought in to aid with parts of the interior. It’s obvious that a great deal of thought especially went into the instrument panel, which has been completely redesigned. The whole thing now feels higher and more in the line of sight, and the navigation screen has been raised to the same height as the rest of the primary gauges, so it doesn’t require as much of a glance away. The proper sitting and driving position seems to be more upright as well, or it might just be the psychological effect of having everything important moved up more into the line of sight. The main gauge cluster itself is laid out in a straightforward yet clever way. It has three main panes, with the outer panes holding real gauges. The center pane is a high-resolution color screen that most of the time shows an ‘analog’ speedometer. When accessing trip/info functions, the speedometer dims slightly; and when using the new Night View system, which we’ll talk about later on, the speedometer disappears completely. There’s a new hand-controller somewhat like that of iDrive but it doesn’t have the same haptic feedback as the BMW device. Just behind it is a wrist-rest that flips up to double as a dialpad/cellphone receptacle. In theory at least, the new controller, and the latest version of M-B’s COMAND interface system, should help keep the driver’s eyes from looking down too far away from the road. The system’s menus have now been restructured for easier use, but as with BMW’s iDrive and Audi’s MMI, it’s not a system to go navigating through while driving. Some features like climate control are easily accessed through the system, and there are steering-wheel-mounted buttons for audio controls and other often-used functions. But others are unexpectedly complicated. For instance, some of the map-display functions are still hidden under several layers of menus. 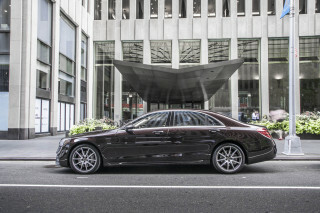 U.S.-bound S-Class choices will be limited to the S450, S550, and S600. The S450 and S500 offer newly reworked V-8s; the S450 will have a 4.6-liter V-8, making 335 hp and 339 lb-ft of torque, while the S550 will have a 5.5-liter V-8 good for 382 hp and 391 lb-ft of torque. Both are paired with a new seven-speed automatic transmission. The S600 remains the most exclusive and powerful S-Class model, with a 5.5-liter bi-turbo V-12 underhood now making 510 hp and 612 lb-ft.
All three U.S.-bound S-Class models have performance that seriously rivals most all-out performance cars. The big new S600 is capable of blasting to 60 mph in a mere 4.5 seconds — supercar territory just a few years ago — the S550 can make the run to 60 in less than 5.5 seconds and the S450 in about 6.0 seconds. Meanwhile, though it will be a few more months before EPA fuel economy figures are out, Mercedes-Benz expects that fuel economy levels will be comparable to the outgoing S-Class — though it’s not a concern, at least in budget, for most buyers. With every generation, the S-Class seems to feel more quiet and isolated from the outside world while still stepping up its performance capabilities, and this new car is no exception. If you’re stepping up from a lesser car, on an empty road you may find yourself digging into triple-digit speeds when it feels like 70 mph. Cruising along for a short while at about 100 mph with left-lane traffic on the Italian Autostrada, we noticed no standout road, drivetrain, or wind noise — with great straight-ahead stability despite a choppy pavement surface. On a driving route that brought us through several high Swiss Alps passes and back into Northern Italy, we didn’t have a lot of opportunities to stretch the S-Class’s speed into that range more than a couple of short times; most of the driving was on challenging, sinewy, narrow mountain highways and on low-speed streets that snaked through the lakeside villages of Italy’s Como region. We spent most of our time driving the S550, which promises to be the most popular model for American buyers. With the current-generation S-Class, many prefer the S550 to the S600 because of its better handling balance, even if it does have less all-out power. The thorough revision to the V-8 has brought a more torquey, dare we say American, character to the V-8. While the 302-hp version in the outgoing S-Class has plenty of torque off idle, it has to reach around 2500 before it hits its full highway-bombing potential. In contrast, the new engine seems to have it all just off idle — and it builds evenly without any flat spots all the way up through its rev range. Given how flexible the new V-8 is, it sure doesn’t need seven speeds for its automatic transmission. 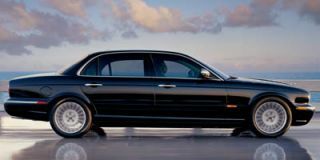 But that’s what the V-8 models get (the V-12 S600 makes do with a five-speed), and it does help wring the most out of the engine in all-out blasts up to speed. The new seven-speed is proprietary, designed entirely in-house at Mercedes-Benz. Downshifts were decisive and smooth, too, but our only complaint with the transmission came in the balky, sometimes indecisive way that it grabs lower gears under less-than-full throttle. M-B officials insisted that the transmission is adaptive to individual driving styles; we were also told that the transmission can follow several downshift algorithms and will often split up multi-gear downshifts by stopping momentarily at an intermediary gear. Luckily, the new S-Class has buttons on the back of the steering wheel that allow you to make manual shifts whenever wanted, and the column shifter doesn’t need to be in a special position. The buttons are big, too, so they’re easy to find in a hurry. While I’m typically one who views “manumatic” options on automatics to be a gimmick, I really did appreciate having manual control of the seven speeds over several steep mountain passes. No doubt, many folks will be glad to hear that the troublesome electronic braking system that’s been offered in the SL and the newest E-Class doesn’t find its way into this car. Other issues aside, anyone who’s spent time in those vehicles and been grumbly about their lack of ability to bring the car to a gradual stop in a smooth, graceful fashion, or been a little bit spooked about the pedal feedback, will notice that everything feels right with the brakes in the new S-Class. They’re even improved versus the outgoing S — it’s a great hydraulic design, and simply intuitive and confidence-building at all speeds. The new S-Class handles like a performance car yet rides as a high-end luxury sedan should, thanks to battery of electronics and pneumatics, with the system altogether called AIRMATIC, which employs an Adaptive Damping System (ADS) that constantly adjusts the damping characteristics for the road and conditions. We were delighted at how easily we could carry what bordered irresponsible speed through some very challenging roads, while still enjoying such a comfortable ride. 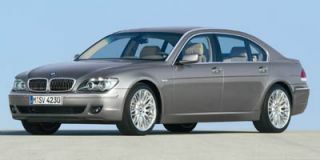 Compared to the competition, the S-Class still doesn’t have the telepathic handling and maneuverability of the BMW 7-Series, a car that’s relatively the same size but drives like a smaller, more tossable car, but it does have a strong on-center feel and better feedback than the seemingly numb Audi A8’s steering. There’s plenty of feedback when you’re rounding tight corners at speed, but little ‘feel’ of the road; the heft is just a little too artificial. Along the test route we encountered a short construction zone of unpaved road; judging by how quietly and effectively the suspension soaked up the washboard surface, we’d guess that it would be stellar and composed in tackling Detroit frost heaves, East Coast potholes, or the L.A. freeway humpity-hump. The new S-Class is perfectly fit for a long road trip for four adults, where no one will be unhappy or uncomfortable. At a long-legged 6’-6”, I was able to sit comfortably in back with the front seat near the back of its travel, with extra space still in front of my knees. Headroom was fine as well, even though the rake of the back window looks from the outside like it might interfere. Overall, the plush S-Class would be a much more comfortable road-trip car for adults than a luxury SUV, as the ride is so well controlled, with none of the pitchy motions that induce highway fatigue. While there was absolutely nothing wrong with the dreamy, supportive seats in the outgoing S-Class, the seats in the new S follow a revised design that’s 16-way adjustable. Heated and ventilated seats, front and back, are optional. A dynamic multi-contour function is another option, and recommended. While previous dynamic seats weren’t able to keep up during switchbacks or abrupt maneuvers, these can, thanks to new piezo valves for the eleven separate air chambers. During abrupt maneuvers, the change in contour of the seat helps give you a gentle but firm nudge in the side, to keep you centered in the seat. It’s a feeling that’s somewhat disconcerting at first, but we left the active feature switched on and through the back-and-forth Alps mountain roads. And when the roads weren’t as back-and-forth, the massage function kept our backs feeling great. The only catch is that these functions must be accessed through a submenu of the COMAND system, so if you want to change them while on the road having a navigator do it is advised. The S-Class has established itself, over the years, as the model in which some of the latest technology makes its production-vehicle introduction. This latest car continues that tradition with several trick new features. The first is DISTRONIC PLUS, a new “proximity control system” that uses the radar sensors and can maintain a set following distance behind vehicles ahead, all the way down to a stop; it can also operate at speeds up to 120 mph. If the system brings the car to a stop, it can reaccelerate the car back to the set speed and distance once traffic starts moving again. Night View Assist is another system that’s new — at least in its approach — on the S-Class. While Cadillac offered a night-view system as an for several years on the DeVille, it was a high-priced option with a very low take rate, and a lot of drivers didn’t like the sometimes-confusing way that the system projected the infra-red images on the windshield, together with the real one. Mercedes-Benz handles the system quite differently: the infrared image instead shows up on the high-resolution screen that’s right in front of the driver — the one that’s normally the speedometer — and it can quickly toggle on and off by hitting a button just to the left of the steering wheel. Although we didn’t do any night driving with our S500, we did try it in some of Switzerland’s dimly lit mountain tunnels, where it did give us a sharper view than what was directly ahead through the windshield. Mercedes-Benz brings plenty of safety features into the new S-Class, all wrapped into categories of what’s called PRO-SAFE. PRO-SAFE includes all of the car’s safety subsystems, which include PERFORM-SAFE, PRE-SAFE, and POST-SAFE. The second generation of the PRE-SAFE system is offered for the first time on the new S-Class. It includes Brake Assist Plus (BAS PLUS), which uses radar to monitor vehicles ahead; if the closing speed is too high or the gap is too small, the system will give a warning and prime the braking system. The instant the driver then touches the brake pedal, the system will then stop in the ideal braking distance — rather than the absolute shortest braking distance, to minimize the chances of a rear-end collision. If the system anticipates a collision, it tenses the seatbelts and inflates the air cushions in the front seats for support. The new S-Class should again be among the safest cars extant. The new car strengthens, while keeping weight under control with advanced materials. About 50 percent of all panels are made of high-strength steel, while the hood, trunklid, and front fenders are made of aluminum. Special consideration has been made in the design for impacts with pedestrians, and with smaller cars and vehicles of various heights, such as SUVs. Overall, the new S-Class takes on a little extra weight but adds even more high-tech equipment and ups the ante yet again for body strength and crash protection. High-end luxury-car sound systems have gone from often underwhelming to often mind-blowing in the course of the past decade. The S-Class’s new top system is among the best we’ve ever heard when you crank it up, not in terms of bass-boom but for sounding robust and full. With 600 watts, 13 channels, and 14 speakers, the Harmon/Kardon system is DVD-Audio and MP3 compatible and can also interface with iPods. Although exact standard-equipment specification of U.S.-bound cars hasn’t been detailed yet, U.S. cars will have an in-dash, six-disc changer and memory-card slot standard. A new high-performance AMG version of the new S-Class won’t be arriving for another year or more. In the mean time, there’s an AMG Sport Package available from the start; it brings full AMG bodywork combined with flashy 19-inch five-spoke alloy wheels. AMG wheel packages will be available separately, with sterling silver options and for tire sizes up to 275/35R20 in the back. If it’s more of a custom look than serious high performance that’s wanted, the S-Class will be offered in two very distinctive special editions from designo, one combining pastel yellow leather with gloss black piano lacquer and anthracite Alcantara lining; the other bringing in Armagnac leather upholstery and maple-grain wood. S-Class models will start arriving Stateside with the S550 next February, the S450 and S600 next April, and a full line of 4Matic all-wheel-drive models next November. While the rear-wheel-drive version of the S600 will continue to feature the five-speed automatic transmission, we were told that 4Matic S600s will get a revised version of the new seven-speed. Expect starting prices across the board to go up slightly (which is a few grand when we’re dealing with this high price class) — meaning the high $70k range for the S450, the high $80k range for the S550, and around $130k for the S600. 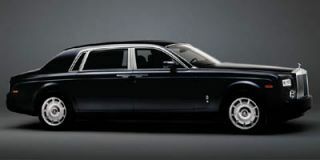 There will also likely be various limousine and armored versions to follow. If there’s a single point worth emphasizing after a first drive in the new S-Class, it’s that Mercedes-Benz is serious about maintaining its “king of the road” status, and for those who’ve arrived but prefer to drive themselves, we can safely say that no-nonsense high-end luxury has never been better.